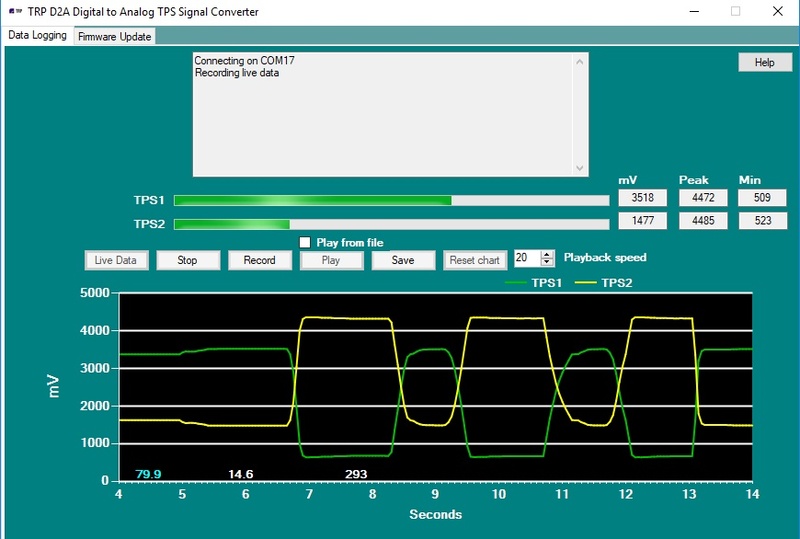 Digital to Analog- Use a newer style GM drive by wire digital TPS signal (SENT) throttle body with an engine control module designed to control an analog (0-5V) TPS output drive by wire throttle body. 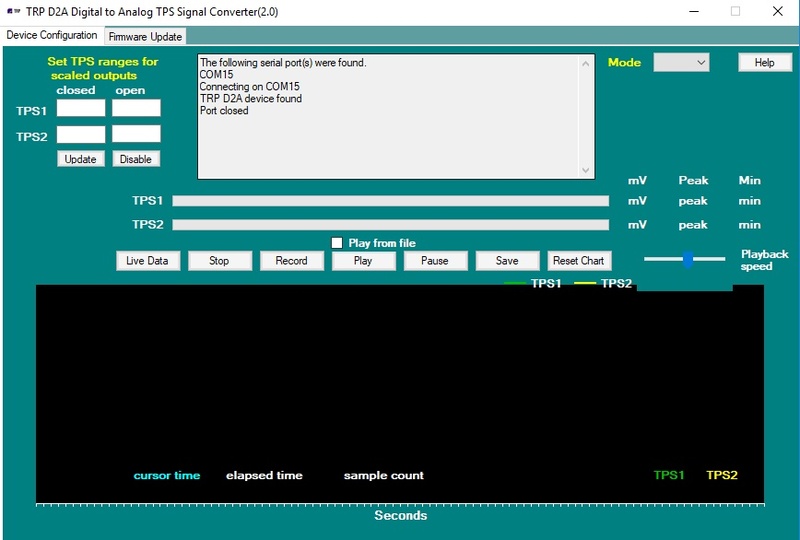 Or provide dual 0-5V TPS signals to another device that requires analog inputs. Our D2A module decodes the digital signal and outputs the 2 equivalent 0-5V analog signals. 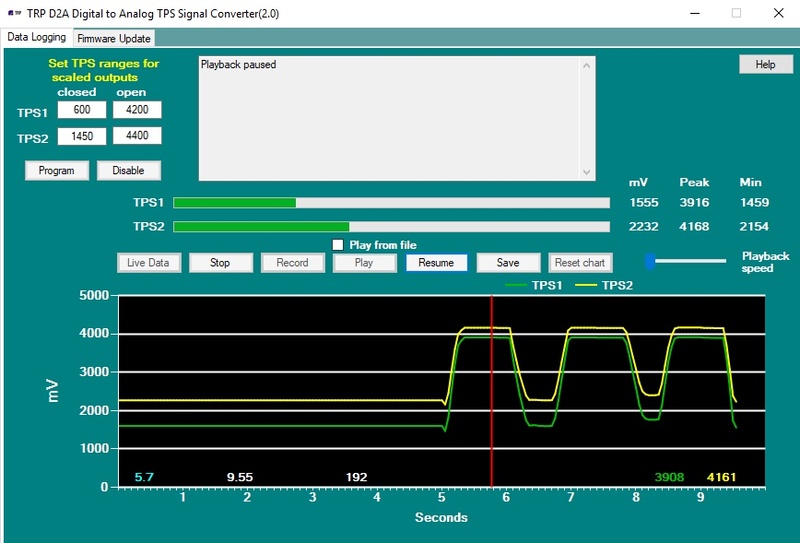 Analog to Analog- Scale and/or invert the TPS signals of an analog throttle body to emulate a different type of analog throttle body. Contact us for shipping costs to locations not shown at checkout. The D2A software and installation guide can be downloaded here. Outputs can be scaled to match those of any 0-5V TPS signal throttle body.